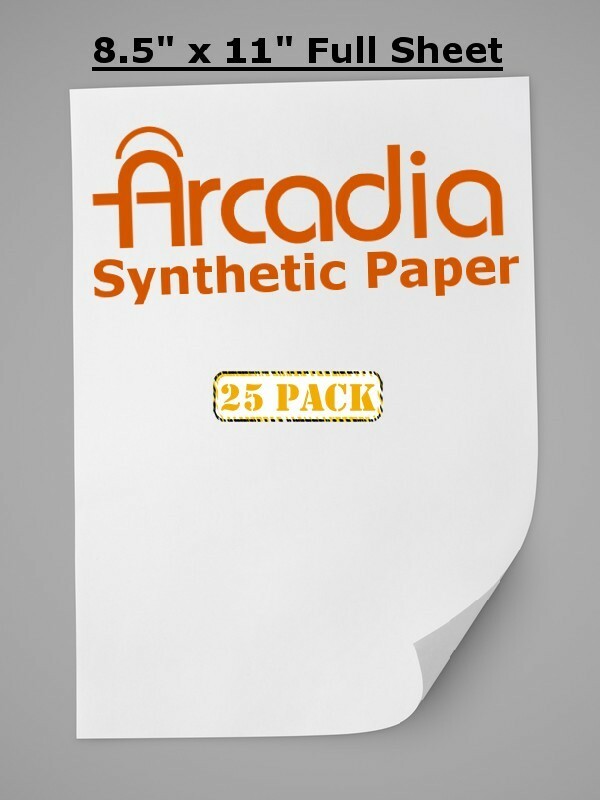 Print high quality images from just about any at home printer with this discounted 25 pack of full (letter size) sheets of our premium Arcadia Synthetic Paper. This paper will withstand water, heat, tearing, and other tests while still holding your great quality images. 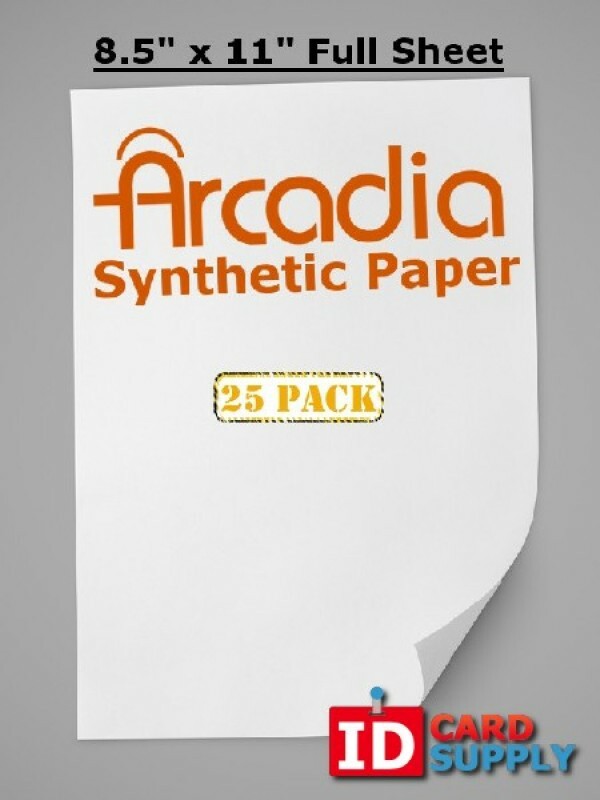 This paper will make up to 25 double sided ID Cards with out Print at Home ID Kits but is also used for art projects, maps, menus and many other projects.